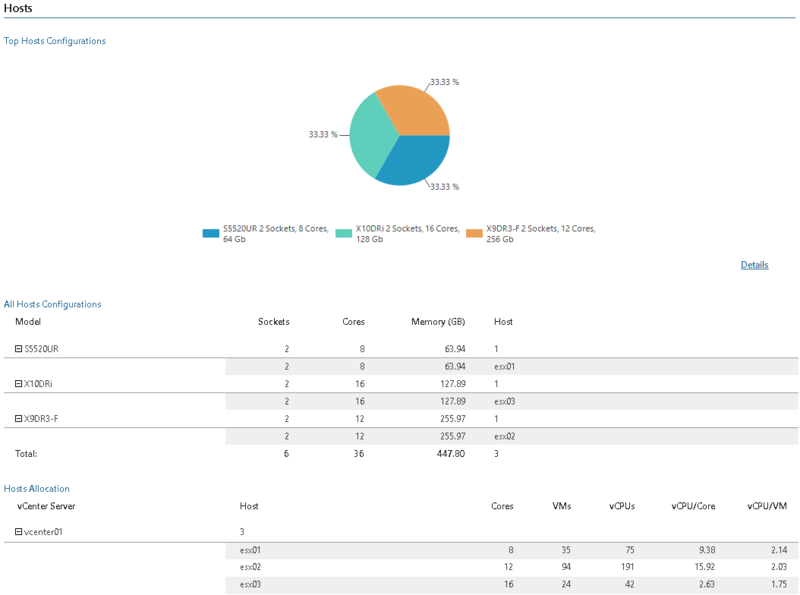 This report provides VMware vSphere inventory configuration information, including all vCenter servers, clusters, hosts, VMs, datastores, and networks in the virtual environment. 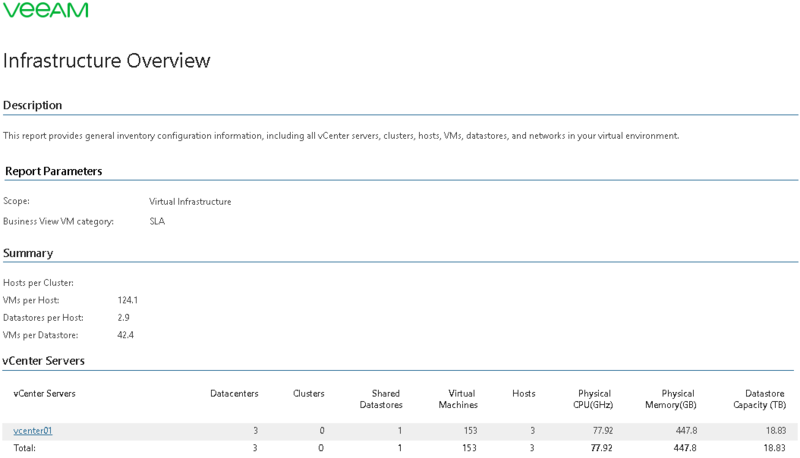 The report shows configuration properties of virtual servers, clusters, datastores, host systems and networks. The report also includes charts that illustrate distribution of VM power state, VMware Tools status and Business View groups across the infrastructure. Click a vCenter Server name in the vCenter Servers table to drill down to the list of hosts managed by the vCenter Server and details on hypervisor version installed on the hosts. Click the Details link below the Power State chart to drill down to the table that shows the list of VMs and their power state. Click the Details link below the Tools Status chart to drill down to the table that shows the list of VMs and status of VMware Tools running on these VMs. Click the Details link below the BV Chart to drill down to the table that shows the list of Veeam ONE Business View categories and groups, as well as VMs in these groups. The report helps administrators track the state of the managed virtual infrastructure. Choose VM category to include it to the report: defines a Business View group that includes VMs to analyze in the report.